Mozambique is a honeymoon hotspot well worth getting married for! Africa’s Indian Ocean is at its most exotic here, with hideaway hotels, traditional sailing dhows, sand dune camping, exquisite seafood and all within reach of a full-on safari. To my mind, Mozambique satisfies that yearning for a new frontier with a generous helping of feet-in-the-sand chic. Mozambique is Africa’s answer to the busier Indian Ocean destinations of Mauritius, the Maldives and the Seychelles. What’s more, unlike much of the Indian Ocean, the best weather is between May and November, so it’s perfect for a late spring or summer wedding. 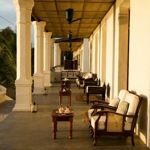 There are 2,000kms of stunning, often deserted Indian Ocean beaches plus adventure, relaxation and some great new hotels, many of which are particularly hot on responsible tourism – it’s honeymoon heaven. 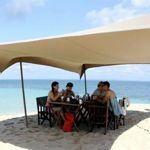 We can create a bespoke honeymoon to Mozambique to suit your timeframe, tastes and budget and can add on a safari on the African mainland – we especially recommend South Africa. Kick off with some barefoot Crusoe-style escapism in the secluded, palm-fringed islands of the Quirimbas Archipelago. Sail out to sea aboard a traditional dhow, snorkel in turquoise waters, go fishing, explore the coastline in double canoes and watch the jewel-coloured birds swoop low. Exquisite seafood is a speciality here, whether it’s lunch on a deserted sandbank or dinner under the stars on the beach. The fabulous Azura Quilalea, with its nine secluded beachfront villas, is the only place to stay – and it’s pure Robinson Crusoe dream territory (albeit with a more luxurious vibe!). 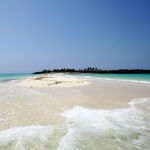 We also love the exquisite Azura Benguerra, located on Benguerra island in the Bazaruto Archipelago. It’s Mozambique’s first luxury eco-lodge which is as romantic as they come. For something really different, how about this Dhow Safari island-hopping honeymoon? 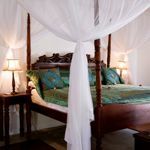 Check out our full range of honeymoons in Mozambique.